Gate’s mission is to provide a new level of accuracy in the flow control of fluids – liquid or gas – in order to enhance application efficacy, product quality, productivity, and both the financial and social returns of our customers around the world. For decades Gate has focused on innovation and quality in flow control technology and related solutions, leading to over 60 global patents issued and pending worldwide. Gate, founded in 1998, partnered with E. I. du Pont de Nemours and Company (DuPont) to develop a safe, effective and accurate flow control technology to be used for the application of agricultural chemicals. Gate’s product portfolio now extends into a variety of industries including, but not limited to, Beverage Dispensing, Agriculture, Lawn/Pest Control, Vector Control, Forestry/Right of Way, Car Wash as well as other Custom Solutions. 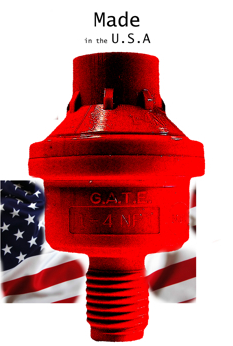 Sold in over 30 countries, the Gate CFValve™ is used widely by international giants such as Dow, Syngenta, and Monsanto. Over One Million CFValves™ Are in Use WORLDWIDE! Our technologies help our customers increase output, decrease costs, reduce capital requirements, increase market share, and provide better solutions to today’s most pressing problems. A full list of Gate patents is available in compliance with the virtual patent marking provisions of 35 USC 287. Gate patent applications may be pending and patents may have issued in the United States and elsewhere which are not identified on the Gate website. Listed patents on the Gate website, gatecfv.com, might not be all inclusive and other products not listed here may be associated with one or more properties in the United States or elsewhere. Absence of any patent property on the website does not prevent the enforcing of any and all legal rights associated with Gate patent property.